A must have recipe to keep in your arsenal of breakfast recipes! 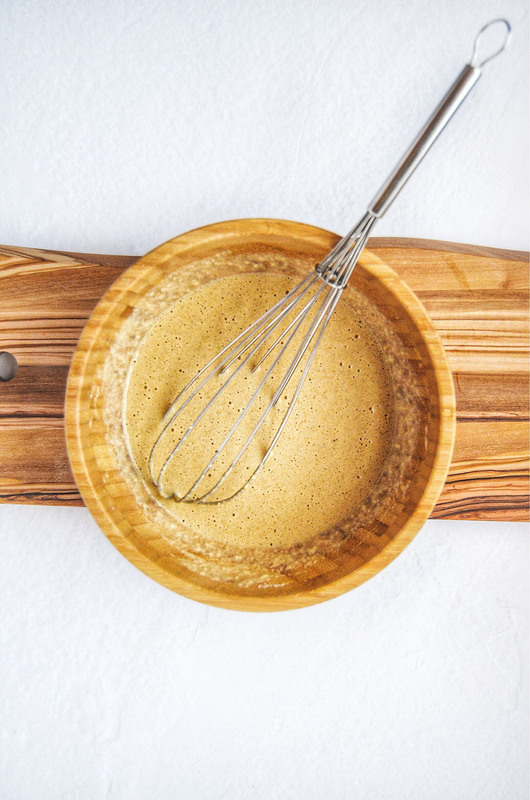 After seven months of testing out this recipe, I am finally here to say that this is my most favorite gluten-free pancake mix! It’s been a long road but so worth it! You’re probably wondering, why this long!? Well, I didn’t want to compromise a pancake’s flavor, texture, and simplicity so I basically did everything against that for so long. You see, like the world’s view on nutrition in how it may seem complicated, overly expensive, and trendy, that was the viewpoint I was taking. 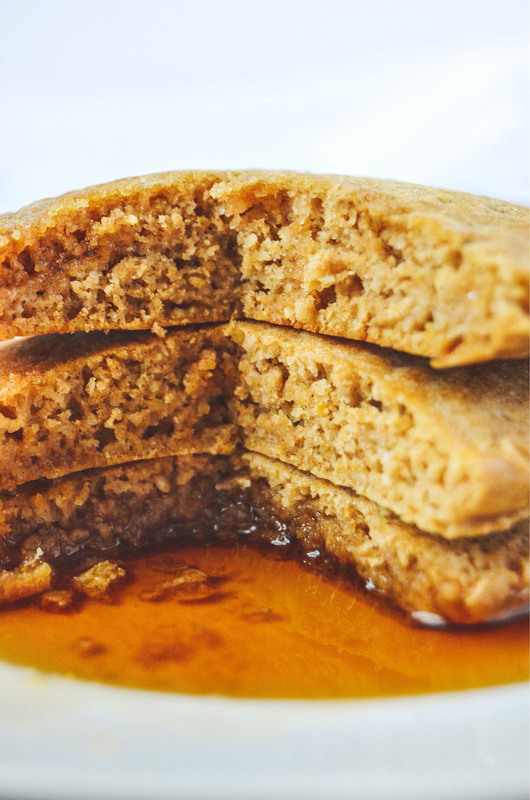 Strip all that away, and now you’re left with a no-fail, go-to, gluten-free pancake recipe. But like most gluten-free pancake mixes, you need to know some tips in order to make them fluffy like a regular buttermilk pancake. Tip #1: Let that batter rest! Tip #2: If using eggs, be sure to use at least one egg white. Tip #3: Make sure your baking powder and baking soda is fresh. Tip #5: Make sure the batter is of a thicker consistency. These are great tips I have learned throughout my years of cooking Saturday stacks for my husband, going on 5 years now! We are a bit pancake obsessed. Have you ever wondered why you’re still hungry after eating a plate of pancakes? 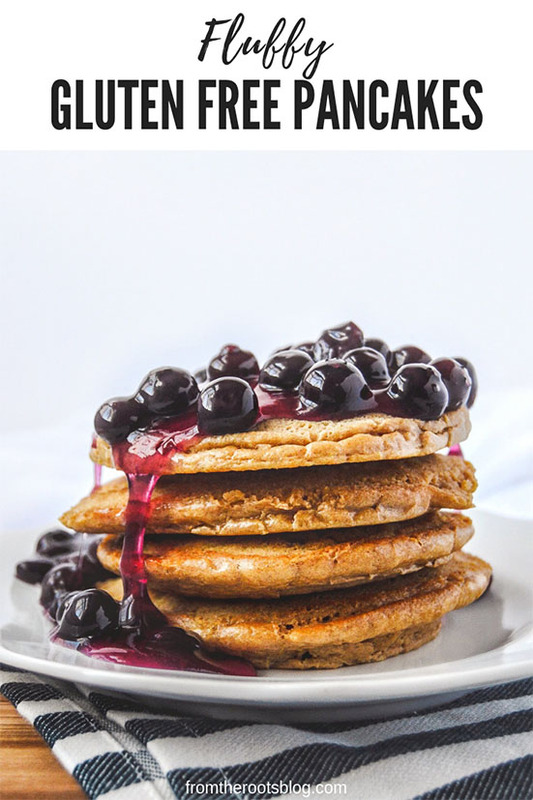 Well, regular pancakes do not contain high amount of healthy fats and protein so even if you are not gluten intolerant, these pancakes provides the perfect amount of density to keep you fuller longer! This GF pancake mix is also very forgiving so if you would like to add fresh fruit, chocolate chips, or additional spices, you can! 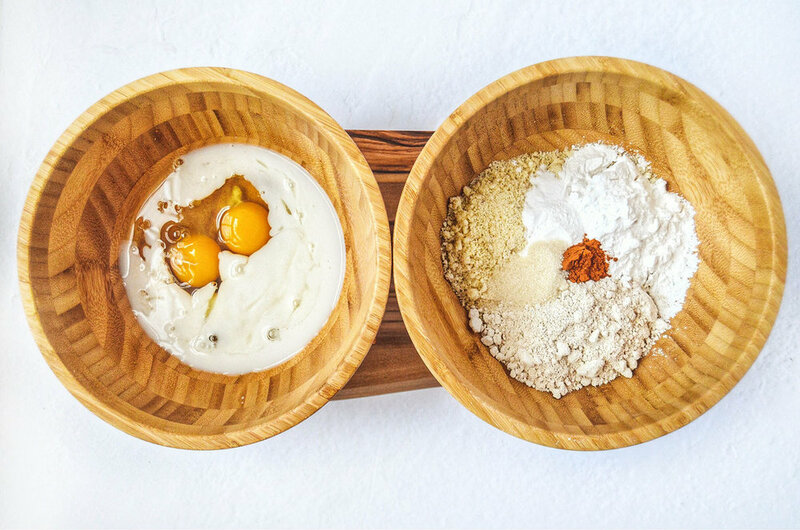 In a small bowl, whisk dry ingredients. In a different bowl, whip egg white and eggs until fluffy. Incorporate the rest of the wet ingredients to the eggs until combined. Slowly whisk wet ingredients into dry ingredients. Do not over-mix. Let your batter rest for at least 15 minutes. Heat a large skillet or griddle on low-medium heat or at 375 degrees. Grease skillet or griddle with butter. When the skillet/griddle is hot, using a small ladle or ¼ measuring cup, ladle pancake mixture onto skillet. Cook until small bubbles appear on the surface of the pancake. Slip a spatula underneath, flip and cook for 1-2 minutes until cooked through. Repeat the same process for the second batch. Top pancakes with your favorite toppings like almond butter, blueberries, chocolate chips, and maple syrup! Here are the flour brands I use for this recipe: superfine almond flour, GF whole grain oat flour, and arrowroot starch/flour.